In this first edition there will be up to 10 teams of 10 participants that will go through 785 kilometers that separate Roncesvalles from Santiago. That will be done in six stages that are ending in the following towns: Logroño, Burgos, León, Ponferrada, Sarria and Santiago. Sponsored by COE (Spanish Olympic Committee), the relay race will kick off on June 18 in Roncesvalles to end on 24th in Santiago de Compostela. The Olympic Spirit and the Camino de Santiago go hand in hand to perform the first Pilgrim’s Race in June 2017. “The spirituality and the epic of the Camino de Santiago join the values ​​that Sport and Olympism brings in a unique journey In the world in which everybody can face themselves inwardly “explains Alejandro Blanco, president of the Spanish Olympic Committee (COE) and one of the promoters of this race. The scallop shell and the yellow arrow-iconic symbols of the Camino de Santiago- will guide the riders along the Camino Francés, in which the shortest stretch will be 6 kilometers in the mythical ascent of O Cebreiro and the longest section will be about 21 kilometers in Castile lands. Each participant will go across during this challenge an average of 12 kilometers per day. Throughout the route , the “corregrinos” (“pilgrunner”) – as participants will be called- will always have medical attention and physiotherapy and podiatry services. According to a statement from the organizers, the challenge implies sports, the principles of Olympism, culture and respect for the environment. 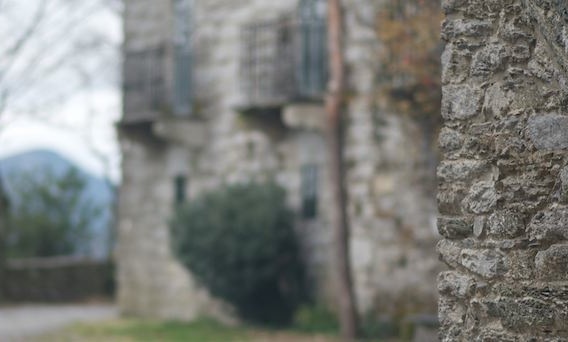 For this reason, the race is completed with a cultural program after the end of each stage in which participants can taste the regional gastronomic suggestion and know the heritage of all the towns and villages on the Camino Francés. The Pilgrim’s Race is presented as a real challenge in which participants will explore their limits and test values ​​such as fellowship, solidarity and teamwork. “Ultreia” will be the word that the participants have to pronounce on the delivery of each relay. The word ‘Ultreia’ (also ‘ultrella’ or ‘ultreya’) comes from Latin and it means ‘beyond’. It was used by the pilgrims when they met to greet and cheer along the Camino. The Olympic spirit will conquer the Camino de Santiago in 2017, a year which has been declared International Year of Tourism by the UN, so it is an exceptional showcase of the Camino to the world and a unique way to obtain the so-called Compostela. According to the organizers, this first edition is the beginning of great and attractive new editions. 1. We do not promote, participate or have any interest in this race. 2. This post is simply informative about the news on the Camino. NOTE. Camino Travel Center does not organise nor sponsors this race. I’m with you on this. It’s demeaning to treat the Camino like a game. Makes me so sad. 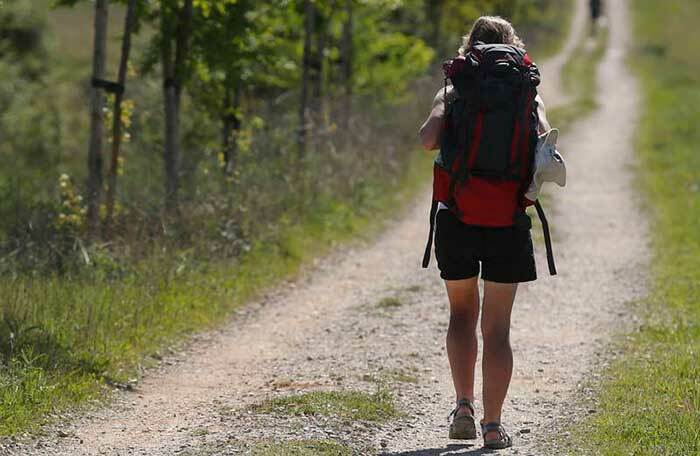 This race seems to defeat the purpose of the Camino – it’s the journey, not the destination. Cancel this immediately. Really offensive. Nice to meet you. I started from Paris in 2015 and walked north on Santiago. In 2016, And I started from Lisbon walked to Santiago. This year, June 27, I walk the French route from St. Jean Pied. On July 25th, I will have Mass in Santiago Cathedral. What a terible idea, something that goes completely against what these routes are meant to be: a pligrimage. Shame on the organisers for comming uo with this idea. What a complete load of garbage! The Camino is a religious pilgrimage! Go find somewhere else for your silly trailrunning!!!!! It’s only a religious pilgrimage for some. Other just consider just a historical walk. Stop being so close minded. Actually, this IS a religious pilgrimage; it just happens to welcome those that are not religious. You are not walking to the burial place of Bozo the Clown under the Big Top. You are walking to the tomb of St James in a cathedral. Whether you believe that or not (or whether you think Bozo the clown should be under that cathedral!) does not change the origins of this walk. And please, if you say that “this was a pagan walk before the Christians arrived,” cite your sources or do your homework. There is NO historical evidence to support this whatsoever. Did the Celts inhabit this area, yes. Did the Celts walk to the sea? Yes. Did they believe that the souls of the dead were in the west beyond the horizon? Who knows? They left NO written records. I don’t think participants on this race will be very welcome on the Camino, at least not by regular pilgrims/walkers. The race concept seems to be in total contradiction with the mindset of pilgrims. You cannot be serious…..is nothing sacred? This is a pilgrimage route not a track event. So sorry to learn of this appropriation of what is a spiritual walk for so many people. What an impolite commercialization this idea is. I will be on the same Camino during the same period. Frankly, I don´t feel offended by this plan. It won´t be any more disruptive than a bunch of cyclists speeding down the hills on this path. Just a bit annoying. That´s all. I shudder to hear the word “conquer” used in any context relating to the Camino….my goal in walking it is exactly the opposite…to surrender to it. You have got to be joking! The Camino is not a sport of any kind. You will not only destroy the meaning and infrustructutenof The Way, but the motivation of true pilgrims. Its an appalling idea. Please do not instigate this. Keith Redhead. This is a disgusting and profoundly offensive idea, to commercialize an ancient pilgrimage route. It will inevitably disturb the pilgrims in the course of their pilgrimage. Please reconsider. Is this an early April Fool’s joke? If not, I hope that the organisers see some sense and run this race elsewhere. This has to be an April Fools joke…….I sincerely hope that it is a joke! Hey…nice to see you are still around! bad idea all around. The Camino is about experiencing the journey, not about getting someplace as fast as possible, It is NOT an appropriate place for a competitive event. Not to mention spoiling the experience for thousands of pilgrims who are on a spiritual journey. Please cancel this event. As long as the race sponsors are diligent in ensuring that nothing is left behind, the net impact to any given Pilgrim walking the Camino Frances during this timeframe is a few hours of additional Pilgrunners and a need to choose lodging before or after designated race stopovers. It would be easy enough to plan a rest day if one needs to be segregated from it. I am walking in May, but if it was June I would see this as far less intrusive than the daily Sarria to Santiago crowds. I get the principles aspect, but who’s to say that a runner is any less spiritually impacted than a walker, biker, rider, or tour group participant? Hmmm…….wonder the impetus behind this? While it is probably not a Camino in the traditional sense, do we not always say that everyone does their own Camino? The participants certainly won’t have much time for reflection or contemplation, but……the upside is that they are only going to pass you once and then they are gone! I don’t like this either and don’t find it much different than the busloads of Camino tourists that only walk token sections of the CF, have sag wagons, etc. Will they be sleeping in hotels or fighting with the walking peregrinos for a bunk? I thought this was a joke. But apparently it is not even just a bad joke. It is just bad. Is there a way to stop it or is it too late? You got to be kidding! The Camino de Santiago is a sacred pilgrimage walk! Don’t degrade it for monetary or whatever excuse the Olympic committee came up with. Leave it be!! I can not believe this – this is suppose to be a pilgrim route not a race for fame. My walk is a walk of thanks giving – every step I take is in honor of Jesus and blessed Mother – now hordes of ” Pilgrunners” will INVADE. HOW CAN WE BOYCOTT THIS!!!!! Horrible. I cannot believe Spain would allow this – do they not respect and value their own heritage and history? I know some people do the Camino with a fitness goal in mind, so it’s not even the “race” aspect I dislike, but to commercialize it this way is gross. A wretched idea, deserving of nothing but condemnation! I don’t believe The Camino Travel Centre is “sponsoring” this as suggested above (at least I sincerely hope not!) but this was simply inevitable. Yes, it is an “ancient pilgrimage route” but how many of us truly walk it for religious reasons? Yes but it is an opportunity for spiritual growth,you say: true but, that by definition is not a “Pilgrimage”. Very few walkers know much about the Camino outside of what they read in their guidebook anyway…and really it doesn’t matter. But the Frances is dead and to paraphrase Nietzsche we have killed it. Most pilgrims today are more preoccupied about the make of their backpack than the state of their mortal soul! Let them run their race…and turn the other cheek. And for a “real pilgrim experience” explore the other routes to Compostela. You can still find it there. Camino Travel Center doesn’t sponsor any of this. Ich finde die kommerzielle Durchführung dieser Veranstaltung auf einem alten Pilgerweg vollkommen unangepasst und absurd. Wer sich an einer solchen Veranstaltung beteiligt, disqualifiziert sich nach meiner Meinung von selbst. stop this madness!!! how could you allow something like this? whats with the normal people who walk there to find themselves? We need to petition against this race. It contradicts what the spirit of the Camino is and its sacredness. 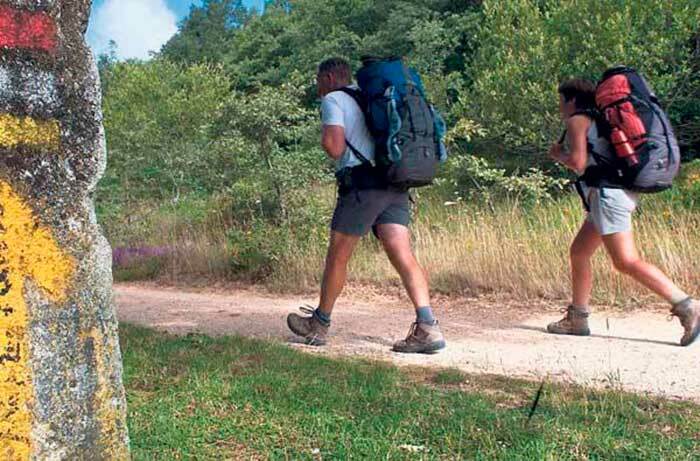 Totally horrified to think what other possibilities could happen to The Camino’ Frances or other Camino’s once this ” race ” is allowed to happen . Would it be OK if they ran in their bare feet.? What a loiad of tossers you lot are. No wonder churches are empty. As pilgrims we are guests in Spain. That part of their government or other groups want to share the pathways that they make and mark for us to complete the Camino is understandable. A pilgrimage is in the journey, not coveting the sacred soil that others may not tarnish it. I think we should share happily and be grateful for the Spanish hospitality. I was a serious, high level long distance trail racer. Having done The Camino x5 i think this is a very wrong event. I love and have been involved with the Olympics. It has nothing to do with The Camino. Why not have a motor scramble off road on the course with big prize money and no drug testing ?